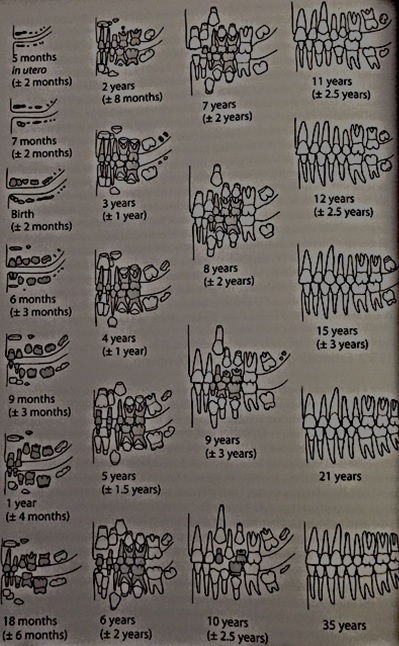 Quick Tips: How To Estimate The Chronological Age Of A Human Skeleton – Using Dentition To Age Subadults. – All Things AAFS! This entry was posted in Anthropology, Archaeology, Estimate The Chronological Age Of A Human Skeleton Series, Quick Tips and tagged age estimation, age estimation by dentition, ageing skeletal remains, ageing skeletons, ageing subadults, aging human remains, aging skeletal remains, aging subadults, Anthropology, Archaeology, chronological age of human remains, dentition, Human skeleton, skeleton, Tooth, Tooth eruption. Bookmark the permalink. 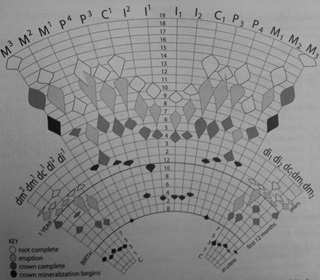 Pingback: Quick Tips – Common Questions: What can an anthropologist tell from the examination of teeth regarding either forensic identification of individuals or understanding past populations? | All Things AAFS!